Been raining the whole week and very unusual for summer here. Actually it's the 1st time in many years that it's been raining everyday for whole week. I reckon it must be due to climate change. 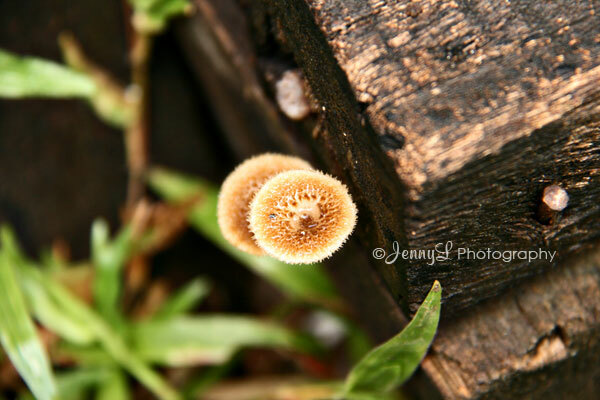 Found this tiny wild mushroom that sprouted at the stairs of our storage room. Wish I had a macro lens so that I can took at shot of it too close. wow ganda ng mushroom/...sannakuhanan yan?